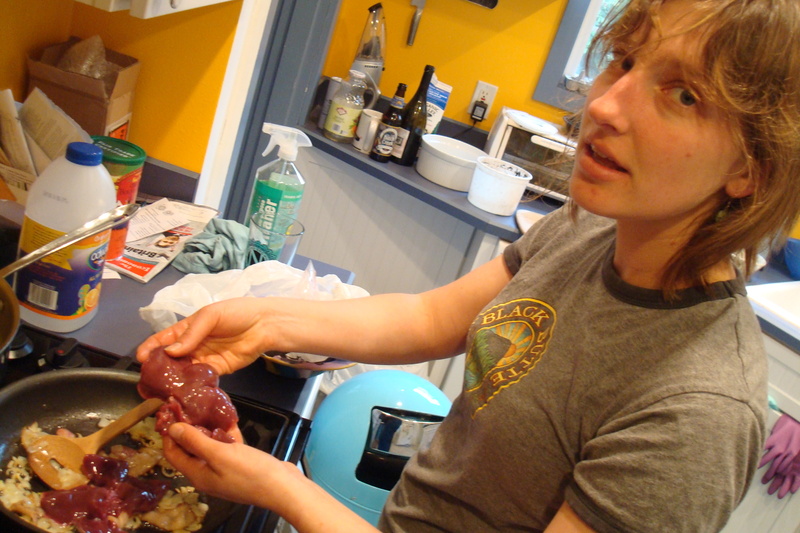 There's a reason Julia Sunkler sells this organ meat as pet food. 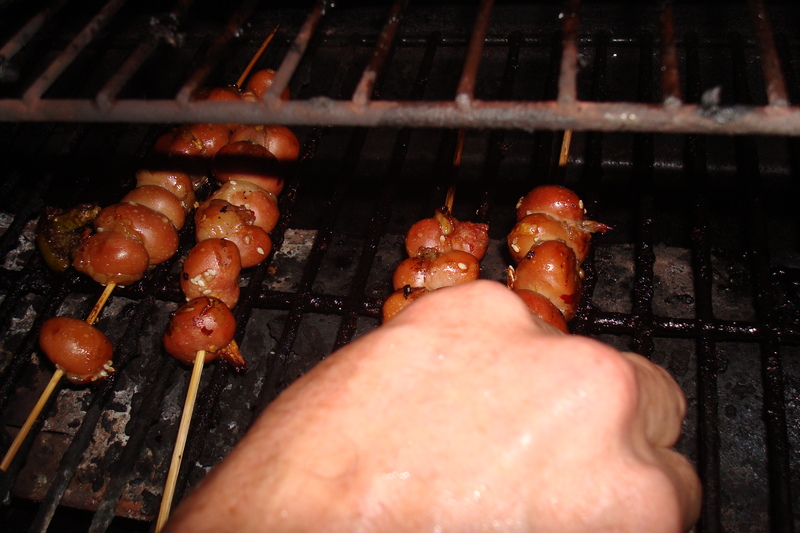 Kidney Yakitori: Looks a little too good to be true. At least the dog loved it. Let’s just say this enthusiastic “nose to tail” eater has hit her wall. I have reservations, Anthony Bourdain. Andrew Zimmern, you’re too bizarre for me. Fergus Henderson, I can’t quite swallow the whole beast. 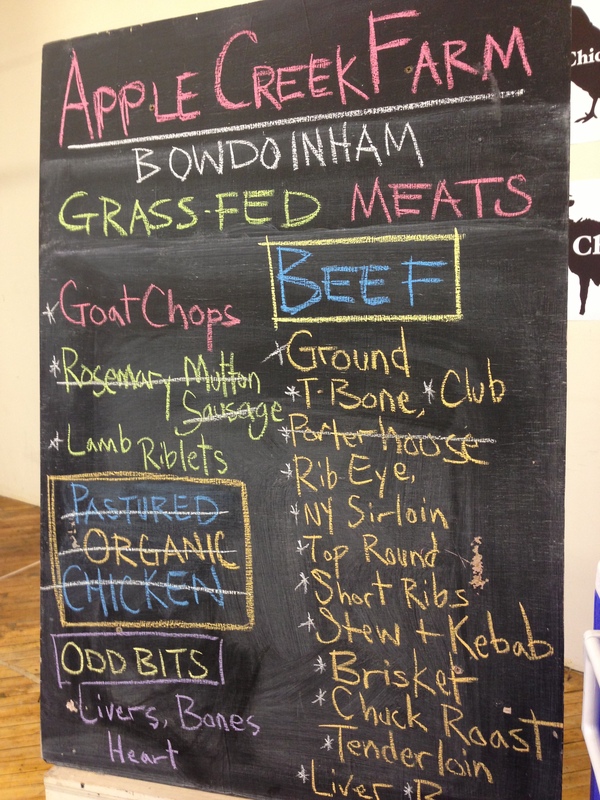 Tongue is no problem, whether from a cow, lamb or duck. Liver, cheek, jowl and belly I love. 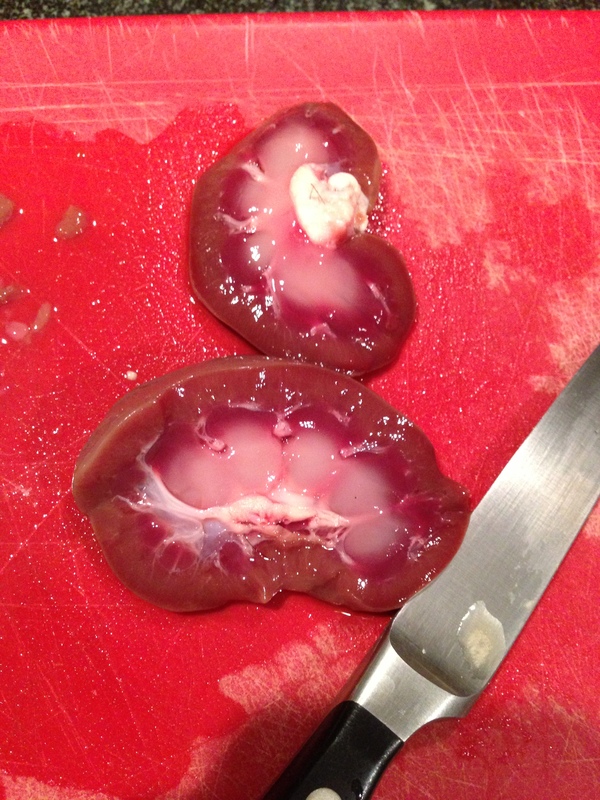 But kidney, at least rabbit kidney, I now know I do not. 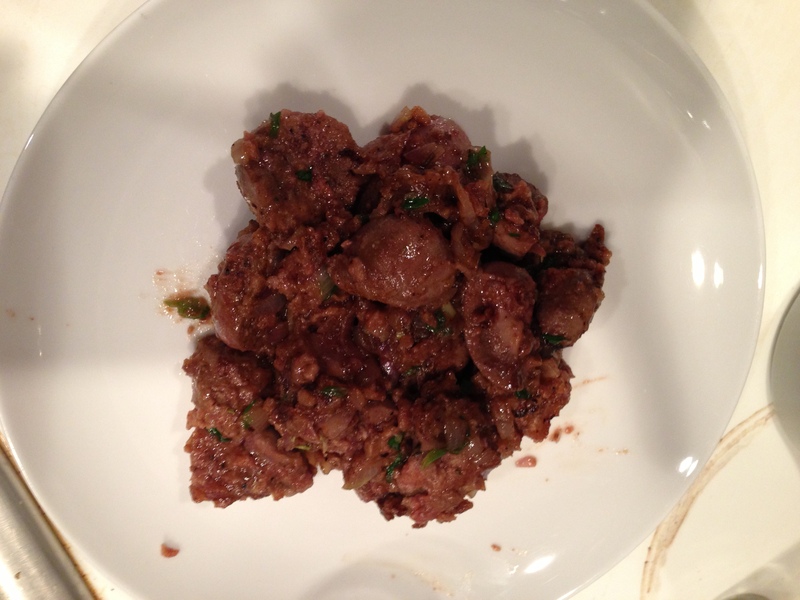 It’s one piece of offal that was pretty awful. I won’t be eager to try any animal’s kidney (lamb is used for steak and kidney pie), faintly urine-flavored and -scented as it is, again. Why did I try it? Well, I got into rabbit for a recent article and perhaps the onslaught of criticism I received emboldened me to try some more rogue fare. 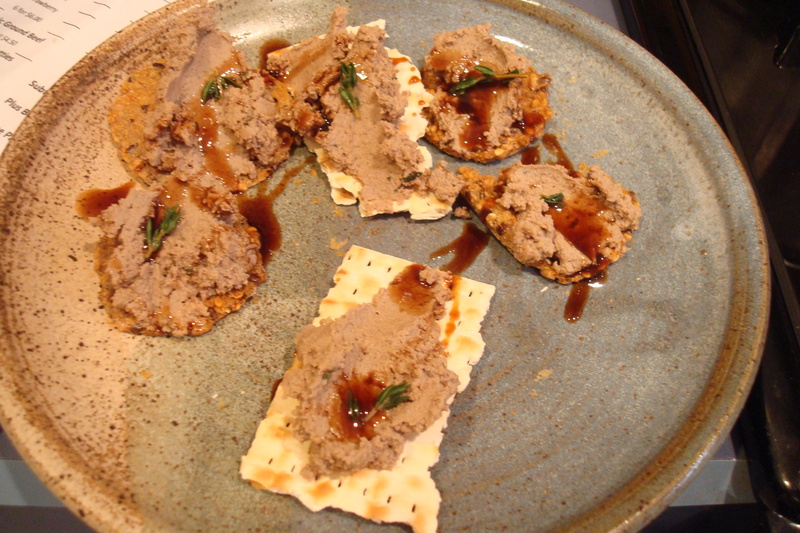 I sauteed up some rabbit liver, which surprisingly tasted just like that of a chicken’s and made a delicious pate. Then I saw an episode of Treme, where the feisty but reckless chef Janette plates up rabbit kidney skewers and lamb neck when a Who’s Who of NYC chefs (David Chang, Eric Ripert) come to dine in her beleaguered post-Katrina New Orleans restaurant. And I saw Julia Sunkler had kidneys at her My Pharm stand, but in a big bag packaged for pet food. I asked her to set a pound aside for me next time she did slaughtering. It’s all about making the most of the animal. A sweet soy marinade wasn't enough to mask the faint urine flavor. Not that I know what urine takes like. But the dogs can have ’em. James Joyce had it right, describing his protagonist’s dietary habits in Ulysses: “Leopold Bloom ate with relish the inner organs of beasts and fowls. He liked thick giblet soup, nutty gizzards, a stuffed roast heart, liver slices fried with crust crumbs, fried hencod’s roes. Most of all he liked grilled mutton kidneys which gave to his palate a fine tang of faintly scented urine.” Kidneys are just pretty gross. 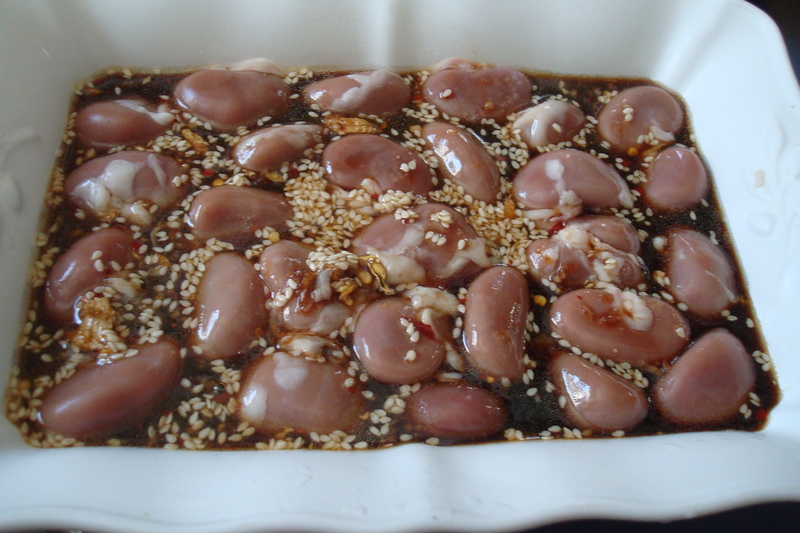 Even the soy tamari-honey-sesame oil-garlic-ginger marinade didn’t do much for their off-taste and mushy, gooey consistency. Perhaps it’s better chopped up in a stuffed than roasted whole? You wonder how many toxins you pick up with waste eliminating organs such as the liver, pancreas and kidneys, anyway. 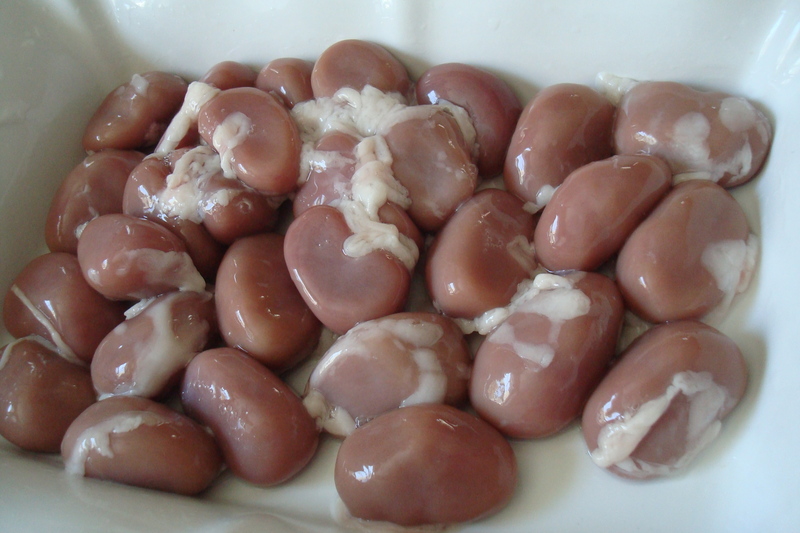 Still, when you think about it, kidneys are less gross than intestines (chitlins, tripe, and more commonly, sausage casings) that we seem to consume with relish. After all, urine is sterile. So check it off my list. Now onto chicken heart? 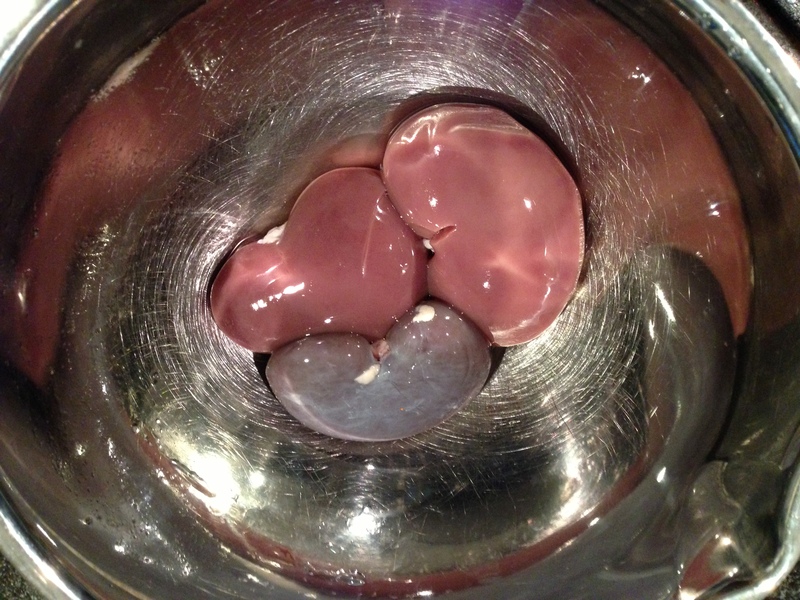 Rabbit liver virgin no more.